As an accredited arboretum, Tower Grove Park has an assortment of over 7,000 trees and 300 tree taxa, or type, and a full-time staff of arborists. Our botanical collection ranges from deciduous to coniferous and from saplings to historic trees hundreds of years old. The American Elm, known for a massive forest canopy, is not only a popular tree but an important one for our scientific research. One specific elm, south of the Turkish Pavilion, is threatened by a common disease called Dutch Elm Disease (DED). Discovered in the 1930s in the United States, DED killed a large percentage of the elm population by 1980. Luckily for our elm, our Arboriculture Manger, Andy Berg, administered a preventative product via an injection into the tree’s vascular system back in 2017. The tree is protected until 2020, when the process will be repeated. “It is important we protect the best and most valuable trees in our collection,” said Berg. 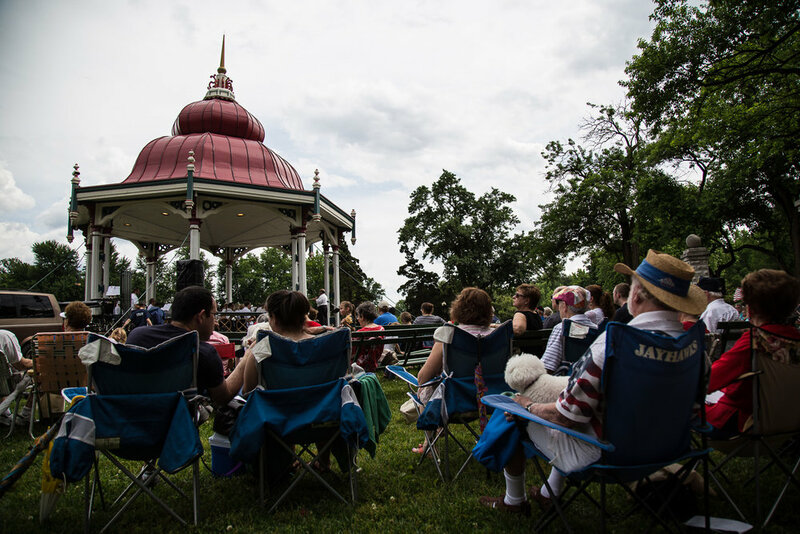 As one of only two arboretums in St. Louis, Tower Grove Park will continue to collect, study, protect and display trees for Park visitors in St. Louis and around the world.